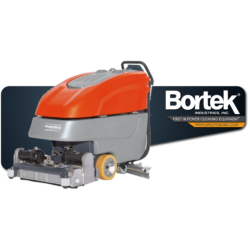 Advance 34RST Walk-Behind Floor Scrubber- Bortek Industries, Inc. 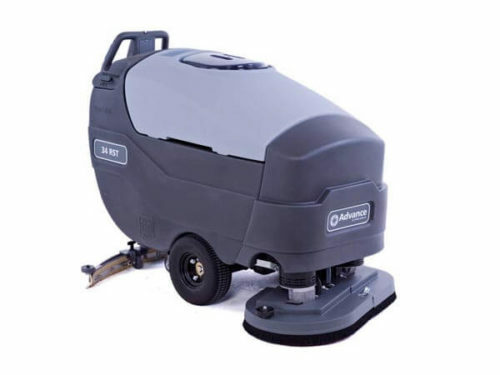 The Advance 34RST scrubber is essentially a contractor-grade version of the popular Warrior series. It’s easy to use and great at what it does. The Advance 34RST scrubber is essentially a contractor-grade version of the popular Advance Warrior. It is almost identical in design but is built with the end-user in mind. Simply put, it’s a “let’s get to straight to business” floor scrubber. 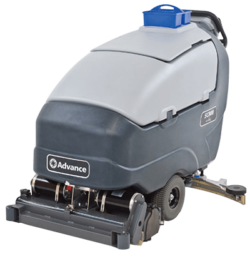 The Advance 34 RST walk-behind automatic scrubber is built contractor grade tough for daily use by building service contractors in the retail, healthcare, and education markets. The 34 RST has a 34 inch cleaning path and 30 gallon solution and recovery tanks to provide extended cleaning time with fewer dumps and refill cycles. An ergonomic, durable handle uses reliable and simple to use palm switches. The 34 RST defines simplicity with One-Touch™ scrubbing. Push a single green button to start scrubbing and the red one to stop scrubbing. Training is practically non-existent for machine operators with little or no scrubber experience. 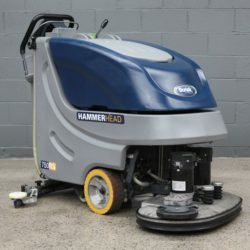 Our flagship Advance 34RST large Walk-Behind Floor Scrubbers and scrubber/sweepers offer Best in class Industrial strength durability, safety, and performance. It’s what you would expect from Advance’s over 100 years of innovative engineering building high performance floor scrubbers. With easy to use and simple controls training is a snap. All Advance automatic scrubbers are easy to maintain with best in class cost of ownership. The disc style floor scrubber is no exception and can be used on most hard floor surface.